As 2016 slowly draws to an end we honestly cannot thank each and every one of you enough for the overwhelming and ever-growing support! We're getting ourselves into the Christmas spirit here at the Saucy HQ and thought we would take the opportunity to give something back to you bunch of absolute legends. This EP contains 9 original varieties from some new blood we plan to work very closely with over the forthcoming year and is available completely free of charge or on a 'pay what you want' basis should you be feeling in the Christmas spirit too. This release also marks the beginning of us exploding back on the scene with pure viciousness like you have never seen us before! We are seriously armed to the teeth with the most impressive new music we have ever heard and are locked and loaded ready to give all you bass junkies your fix every two weeks from now. 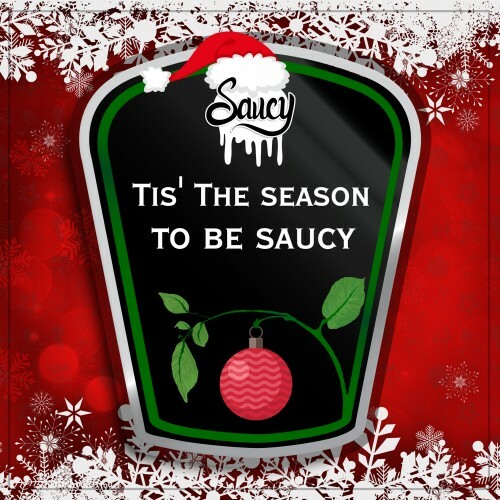 But for now... T'is the season to be Saucy, so have yourselves a very merry Christmas and you will hear from us again very soon!